Questions about Fairmont Designs 111-VS30? Windwood brings a casual contemporary look to bathroom cabinetry. Lively American walnut veneers keynote the design, which features an open towel shelf and subtle visual breaks above and below lower drawers for a box-on-stand look. Brushed nickel finished hardware and floating tops of marble, granite, or ceramic dress up the vanities. Combined with a matching solid walnut mirror, Windwood transforms any bath into a serene oasis. 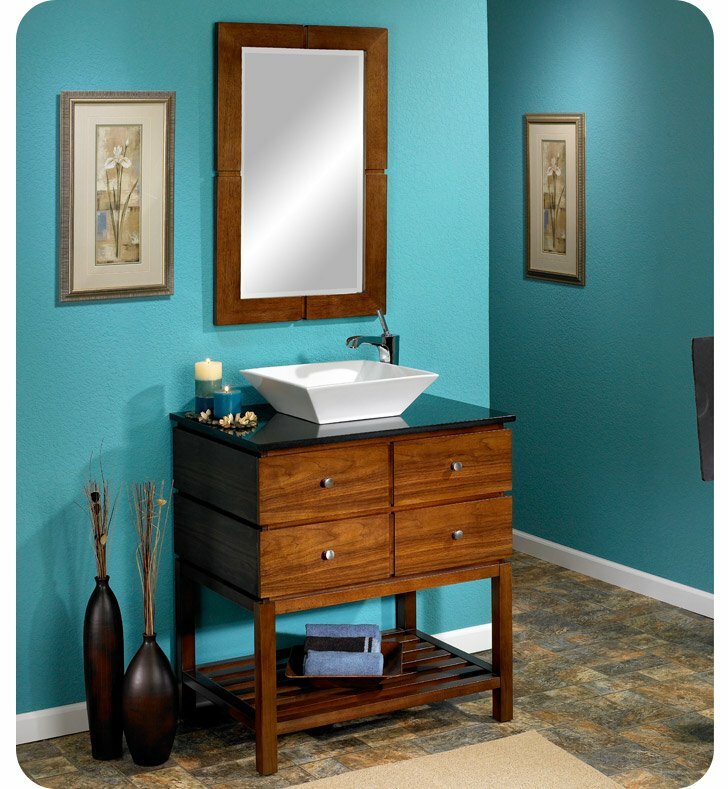 Vanity: W 30 1/2" x D 21" x H 32"
Pros: the design is great as well as the quality! A great piece of furniture and the company was wonderful to deal with.